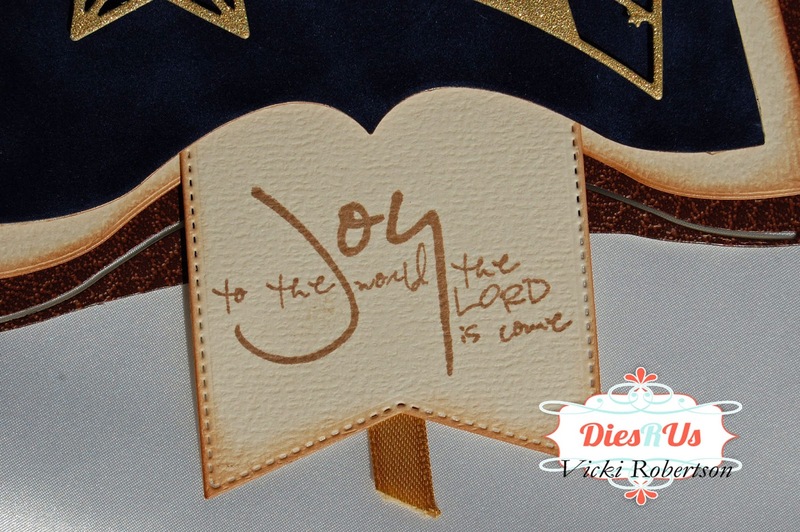 Vicki here to welcome you back and share my "Christmas in July" inspiration. I'm not really wanting the Christmas season yet because we are enjoying a fabulous summer with family and friends. But, I decided that I would get a start on the special cards I send every year. So, that brings me to the first of several "Christmas in July" cards I will be sharing with you. I created this card using the Precious Marieke Santa's Book. 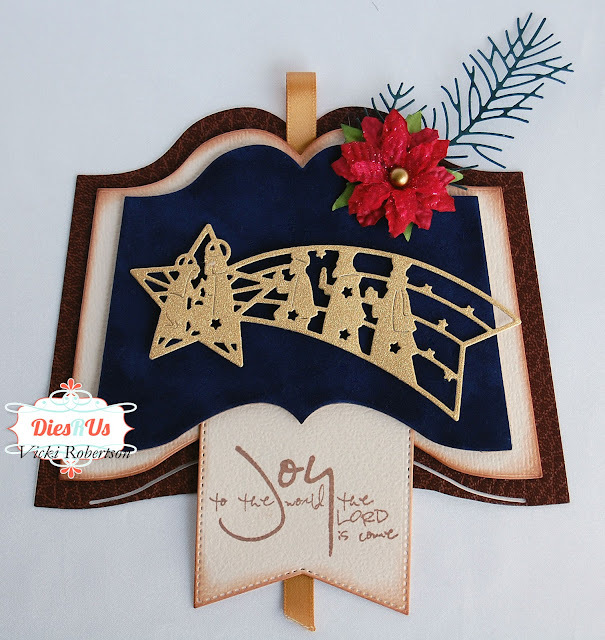 This die cut is so versatile and can certainly be used year round for all kind of projects. There are four layers to the book although I used only three of them. 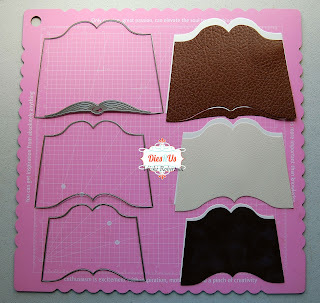 The base is a "leather-like" specialty paper that I thought would make a good book cover. The next layer and the banner tag are basic cardstock. 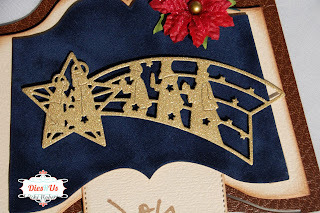 The top and background layer for the Nativity Shooting Star is an elegant blue velvet paper from SEI. I love this paper and have a collection of fifteen different colors. 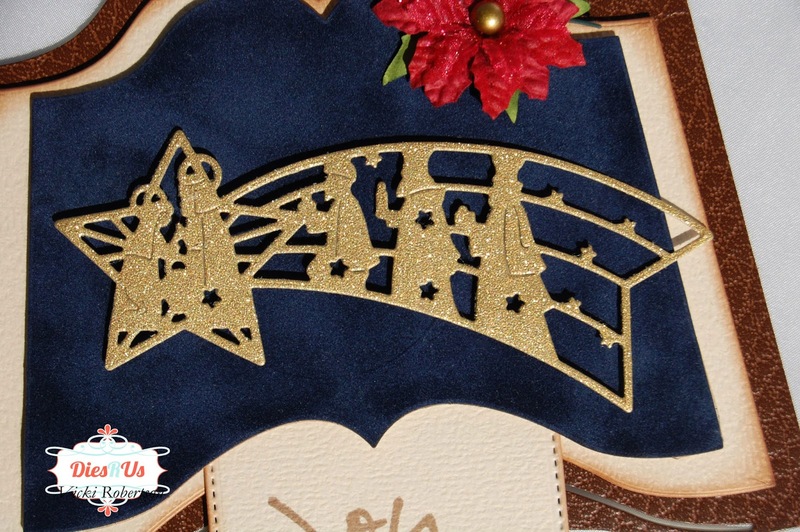 The Nativity Shooting Star has beautiful details and looks fabulous cut from gold matte glitter paper. I cut double of three sizes of the book pages. One layer from each of the specialty papers and three from cardstock, one of each size. I adhered the specialty papers to the matching cardstock size with Scor Tape. This helped give the lighter weight paper more stability. I added the sentiment banner between the top two pages along with a ribbon book mark down the center. The sentiment is Verve and stamped with Versafine Ink. A close up of the Nativity Shooting Star shows the intricate details. What a pretty card! I love how you used this book die!